There is no room for double standards in the future Cohesion policy but there is a need for cooperation between funds and programmes, key partners and civil society, the EU Commissioner for Regional Policy told a Committee of the Regions (CoR) plenary session in Brussels on Wednesday (December 5). For the EU executive, Commissioner Corina Crețu said, local development is the utmost priority. But it is local development designed by the people themselves, the locals who know best the needs of their own regions, she said. “The valuable work of the European Committee of the Regions on the future of Cohesion policy has contributed to setting the pace for the negotiations. I welcome their [Committee of the Regions’] constructive approach regarding the Commission’s proposal, in particular, their support for a strong partnership principle, for local development and for partnership agreements in all member states,” Cretu stressed. From its part, CoR wants a cohesion policy that will not be used as a sanction or incentive to achieve other goals, other than sustainable development. “We want simplification but we do not want it at the cost of centralisation”, underlined Karl-Heinz Lambertz, president of the CoR. At the same time, what has sparked a lot of confusion among regional and local authorities, is the so-called n+2 decommitment rule proposed by the EU’s executive. The rule, in which ‘n’ is the starting year, refers to the timescale for programme expenditure to be declared, defining the year by the end of which allocations to programmes have to be spent. It is currently set at n+3, which the CoR considers as more suitable for the countries and the regions which face more difficulties in the implementation process and the application of the programmes. The Commission’s proposal also involves a mid-term review for the programmes, which Crețu described as a tool that will help prevent errors in the overall procedure or related delays. “What we have learned is that we cannot foresee seven years in advance what will happen,” she said, highlighting that this is a win-win change that serves flexibility and efficiency in implementation. 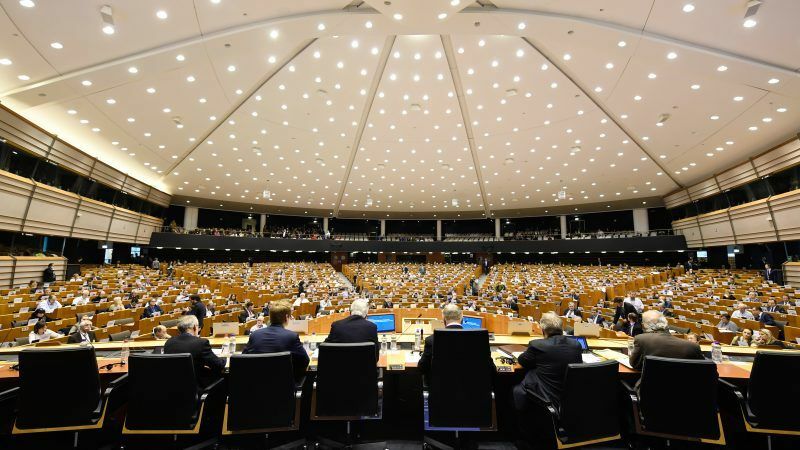 In four adopted opinions, the CoR proposed various legislative amendments to the Commission proposals for Cohesion policy 2021-2027. A main concern for the Committee is to ensure that Cohesion will be simpler and more flexible for beneficiaries and fund managers in the future. “There is a clear need for maintaining the current level of co-financing rates for the three categories of regions, as well as for a safety net at regional level, in order to prevent disproportionate cuts in individual assisted areas,” pointed out Michael Schneider (DE/EPP), representative of the Land of Saxony-Anhalt to the Federal Government. He said the European Agricultural Fund for Rural Development (EAFRD) must also be reintroduced into the Common Provisions Regulation (CPR), “in order to maximise synergies with the other funds”, he said. Furthermore, regions and cities demand to revise the 46% cut proposed by the Commission for the Cohesion Fund and to ensure a stable budget for the European Region Development Fund (ERDF). “In order to better address the needs of our communities, the thematic concentration, focusing ERDF resources on selected political objectives, should not work on the national level, as proposed by the Commission, but at regional level,” highlighted Michiel Rijsberman (NL/ALDE), regional Minister of the province of Flevoland in charge of the ERDF and the Cohesion Fund opinion. “A national thematic concentration would centralize the allocation mechanism and be against the place-based approach of cohesion policy”, he added. During a debate on Thursday with Michel Barnier, the EU’s chief negotiator for Brexit, regional representatives expressed their concerns about the impact of the UK’s departure on regional development, mobility, education, transport, fisheries and the exports market. “Brexit has, had and will have many consequences”, Barnier pointed out. He said the UK’s withdrawal deal was a balanced agreement but stressed that Brexit is a lose-lose situation, a damage-control negotiation which will not bring any added value. However, it still respects the rights of the UK citizens and the regions. “The Withdrawal Agreement offers the best compromise in a complicated negotiation, but its impact will still be felt in regions across the EU27 and the UK. There will be no winners from Brexit and the EU must now do everything it can to cushion the losses. Preparedness means involving all levels of government”, Karl-Heinz Lambertz added.